One central database for everyone! 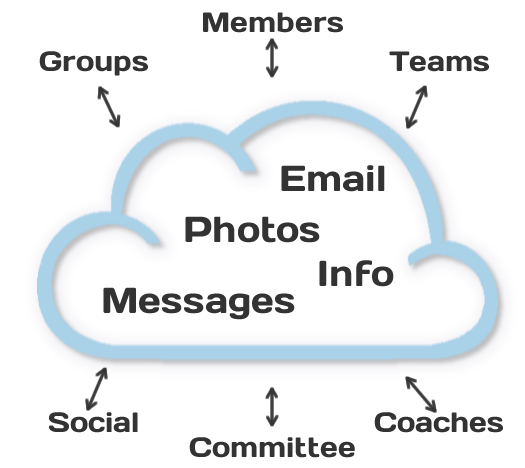 The web based database can be updated by the club, coach, committee, or member saving endless hours of chasing, avoiding data duplication, and keeping everything up to date. Want to know who’s available for next weeks game? Each member has access to their own calendar, where they can block out availability so you know who's available to play. Members can respond to scheduled training session invitations and match fixtures from their mobile phone, to quickly confirm attendance. Coaches can keep on top of player attendance and fixture creation. 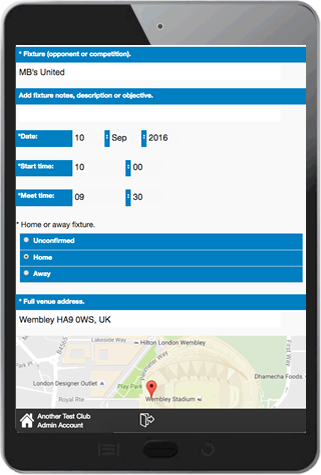 A simple online form lets you easily create a new fixture; set the fixture name, date and time, meet time, search the location on a map, or tap the exact location, and then send it out to any of your selected squad members, the opposition and even the match official. We are currently working with some of sports leading governing bodies with the aim of building a link (API) between iTeamMate and the association systems.